2018 Appeal – You will need Adobe Acrobat Reader to open PDF files. If you don’t already have Adobe Acrobat Reader click here for instructions on downloading it. It’s free! 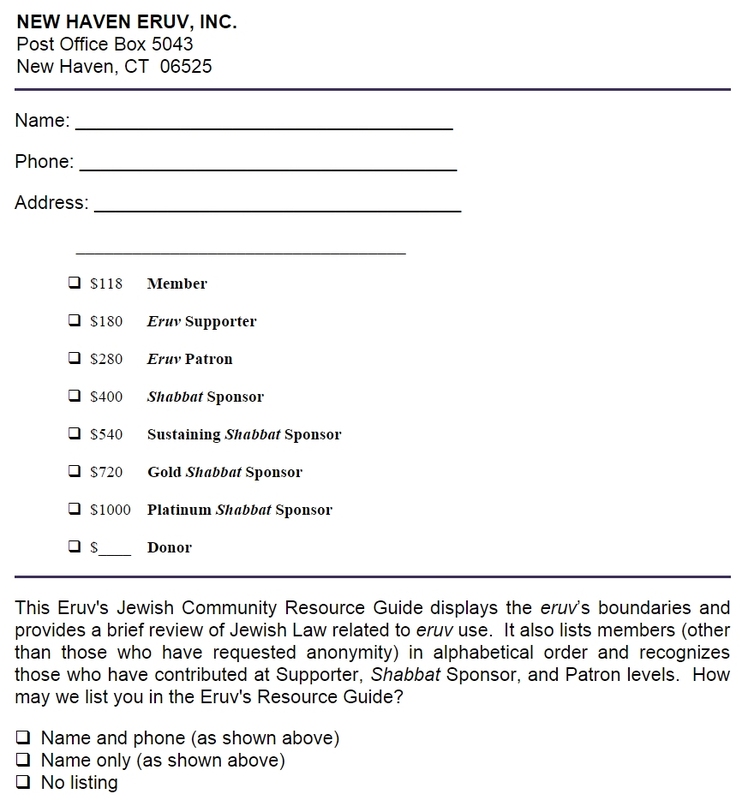 New Haven Eruv, Inc. is a registered charity recognized by the U.S. Internal Revenue Service as a 501(C)3 organization. Contributions are tax deductible to the extent allowed by law. For the most part, the New Haven Eruv operates on a volunteer basis. However, weekly inspection costs and frequent repair costs require significant outlays of funds which are covered by contributions from members of the Community.